THE Australian man involved in one of the world's most powerful photographs will be honoured for his role in the bold move, five decades after it took place. 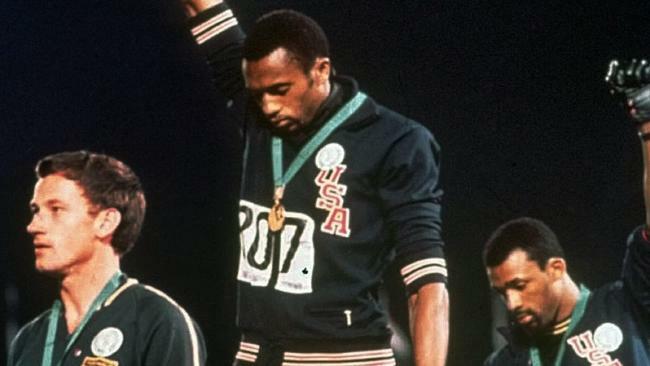 Peter Norman was standing on the podium alongside US athletes Tommie Smith and John Carlos at the 1968 Olympics in Mexico City when the pair raised their fists in a Black Power salute that became a defining symbol of the civil rights movement. Mr Norman, who had split the pair by placing second in the 200m race, wore an Olympic Project for Human Rights Badge and said "I'll stand with you" when the athletes told him of their plan. Now, he is set to be recognised by the Australian Olympic Committee for his role in the protest, Fairfax Media reports. Mr Norman will be posthumously given the AOC's highest honour, the Order of Merit for the "exceptional" courage he showed in taking a stand that day. After taking part in the picture, Mr Norman became an outcast from the sport and was criticised alongside the US athletes. At the time, Mr Carlos and Mr Smith were expelled from the Olympic Village and threatened with death and violence in the US. Later, they came to be regarded as heroes, but Mr Norman's role remained sidelined, with his place left empty when San Jose State University erected a statue. Tommie Smith and John Carlos later carried the coffin at Peter Norman’s funeral. 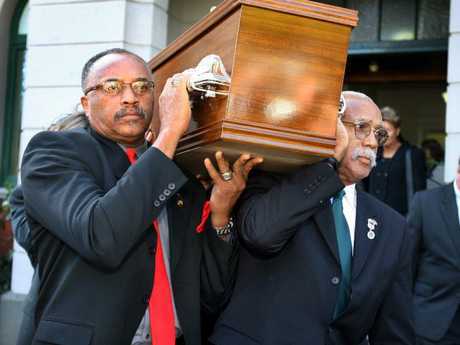 Mr Smith and Mr Carlos have recognised Mr Norman's role in the moment and helped carry the coffin at his funeral in 2006. "We knew that what we were going to do was far greater than any athletic feat," Mr Carlos said about the moment on the dias. "He said, 'I'll stand with you.'" "I saw love. Peter never flinched. He never turned his eyes, he never turned his head." 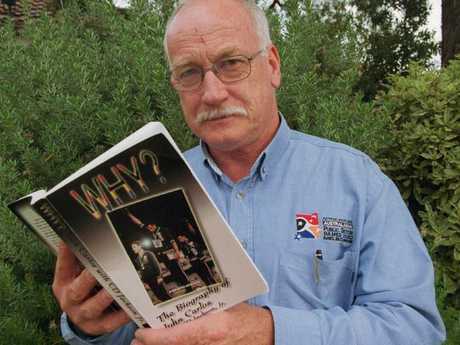 Peter Norman in 2001 with the biography by American runner John Carlos. 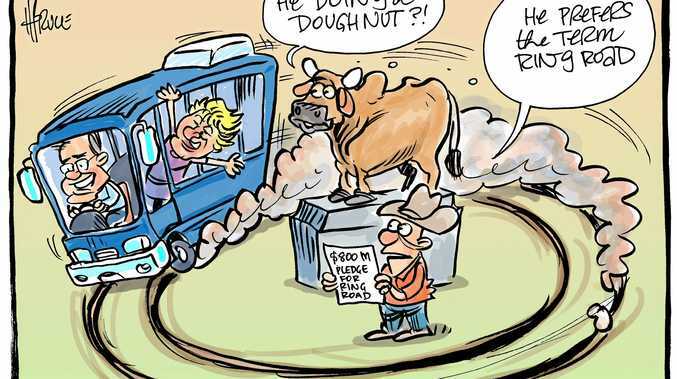 In 2012, Labor MP Andrew Leigh campaigned for an apology to Mr Norman and his family. Mr Carlos said: "There's no one in the nation of Australia that should be honoured, recognised, appreciated more than Peter Norman for his humanitarian concerns, his character, his strength and his willingness to be a sacrificial lamb for justice." His profile was given a further boost in 2015 when an article called "the white man in that photo" was shared more than 30,000 times online by an arts magazine. Writer Riccardo Gazzaniga said he thought Mr Norman was a "simpering Englishman ... but I was wrong." The AOC denies Mr Norman was officially snubbed after taking part, but he was overlooked for the 1972 Olympics despite easily qualifying. Now AOC president John Coates suggested the group had been "negligent" in not recognising him sooner, and recommended the honour for the 50-year anniversary of the Mexico Games. Who's the greatest of all time?